Reach 200000 points to complete the level. These level have almost same requirements plus same candy board but required much focus plus strategy to balance the Owl and break timer bomb. 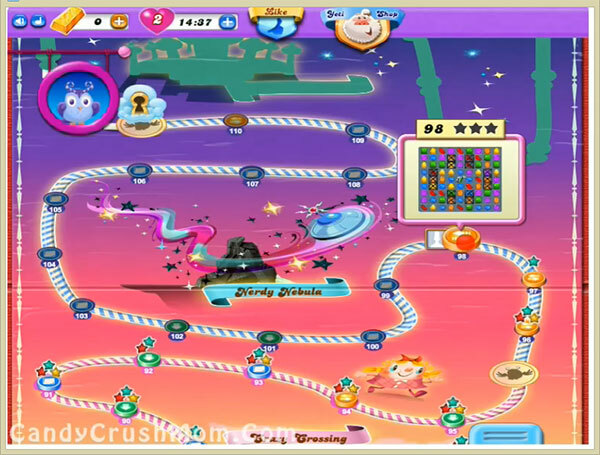 First you should try to break grills as it will allow to play from any side of candy board and make special candies to reach required score. You should remember to balance the Odus owl and try to play more from bottom part of the board. We completed this level with 737700 score by using same strategy as written above plus use special candies and got three star score.